UK: Siemens has extended its contract with offshore wind services company CWind for the provision of turbine technicians for a number of UK projects. Over the next two years, CWind technicians will provide assistance during the installation of several unnamed projects. Under the new contract the company's technicians will work on lifting and installing components, the cabling, mechanical, electrical completion of turbines and handover inspections. 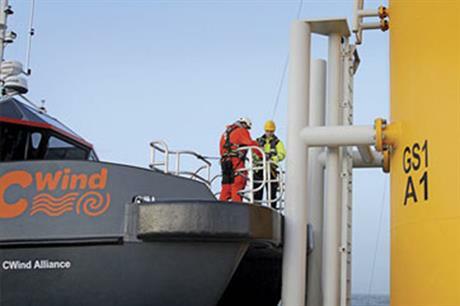 CWind has previously worked with the German manufacturer on London Array, Teeside, Gwynt y Mor, Lincs and West of Duddon Sands offshore wind farms. "This ranged from one or two technicians reinforcing existing Siemens teams to independent project teams that included supervisors, mechanical and electrical technicians and stores staff," the company said in a statement.